End of the Year Dance. Buy Tickets for $10 or $7 with four cans/boxes of food. 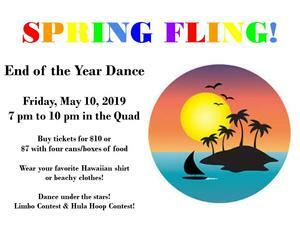 Wear your favorite Hawaiian shirt or beachy clothes! Limbo Contest & Hula Hoop Contest!